Mohamed Hrezi made a name for himself at Naugatuck High School when he ran to a state championship for Naugatuck Greyhounds before going on to earn All-American status at Iowa State. But somewhere in the back of his mind he had bigger dreams to pursue and running in the Olympics was one of them. 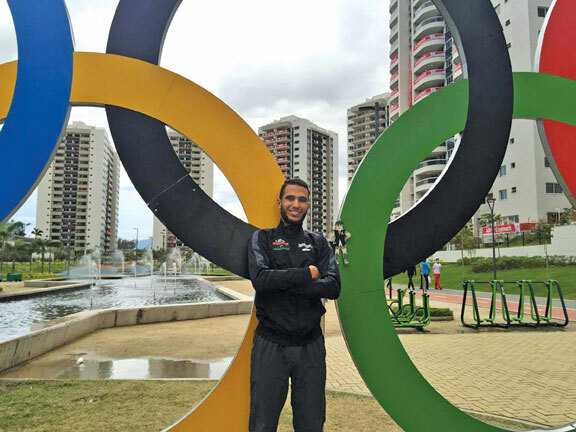 That dream became a reality on Aug. 5 when the 2009 NHS grad entered Maracana Stadium in Rio de Janeiro, Brazil as the flag bearer for Libya during the opening ceremony of the 2016 Summer Olympics. 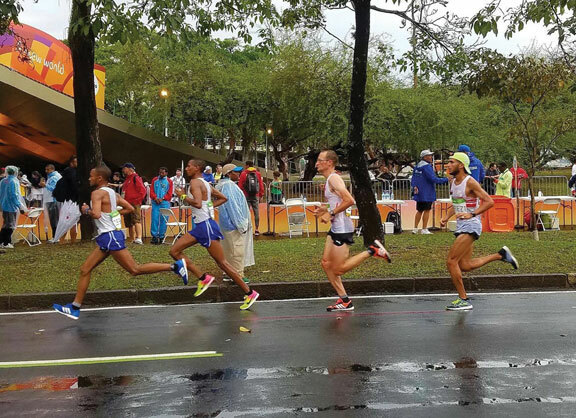 “I would listen to the success stories and watch runners progress in college and beyond and I would think to myself maybe one day I would be able to run in the Olympics, as well,” said Hrezi, who competed in the men’s marathon at the Games. “Truthfully I never actually thought it would happen. Kind of like me dreaming of being in the NBA,” he added with a chuckle. The Libyan Olympic Committee had reached out to Hrezi in the past and he met with representatives on several occasions. They wanted him to move to Africa to train at a high altitude but Hrezi insisted on staying in the states to finish his education and they eventually understood how important education was to him. Hrezi is currently pursuing a MBA at the Michigan State graduate school for business. Being the flag bearer for a country that has been at war added an emotional element for Hrezi. His family moved back to Tripoli in 2012 and is working to try and help develop and stabilize the country. “I witnessed the civil war there and know people that have died for Libya,” Hrezi said. “The least I can do is represent Libya proudly and give Libyans something to smile about. I hope to be a beacon of light in these dark times for our country. Being the flag bearer was the most unreal five minutes of my life. 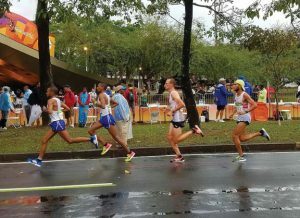 There was some stiff competition in the men’s marathon on Sunday with a record-setting field of 155 runners from 79 countries. The race began at the Sambodromo Stadium before making its way to the streets of Rio de Janeiro. The weather didn’t help matters. Eliud Kipchoge of Kenya took the Gold Medal in 2:08.44. Feyisa Lilesa of Ethiopia won Silver in 2:09.54 and Galen Rupp of the USA won the Bronze in 2:10.05. Hrezi finished in 77th place in a time of 2:21.17.